A month or so ago my colleague mentioned that we where considering sending someone over to San Francisco to get to know the Mapbox-stack even better. I think I spent two seconds thinking before I said something like “Going to San Francisco to visit Mapbox? Can I join?” And, as it turned out my schedule and area of knowledge seemed to be a good match, so I booked tickets together with my other colleague that would be coming along. Seriously, a week in SF, with it’s great vibe, superb beers and spending time with one of the most innovative Geo-players? It’s perfect! What could be better? Well, as events turned out, I found myself in Copenhagen the weekend before my flight to SF, visiting a friend together with my girlfriend. As I left Norway friday afternoon i wrote a Tweet, proclaiming I was exited to be visiting Copenhagen and SF in one go. Then Asger Pedersen from the danish geo-geek company Septima suggested we’d meet up for some beers. I wasn’t really sure I had the time, but along the weekend we agreed to meet up. Well, before that there was beers to be had. 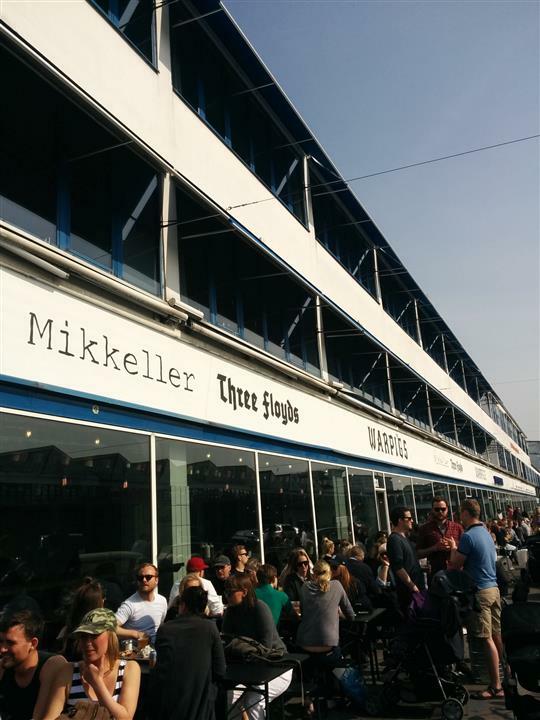 On Saturday we headed down to Kødbyen to check out Mikkeller and Three Floyds’ new brewpub: Warpigs. This place opened the day before we visited, and with it being a really sunny and warm day in Copenhagen, the place was packed. 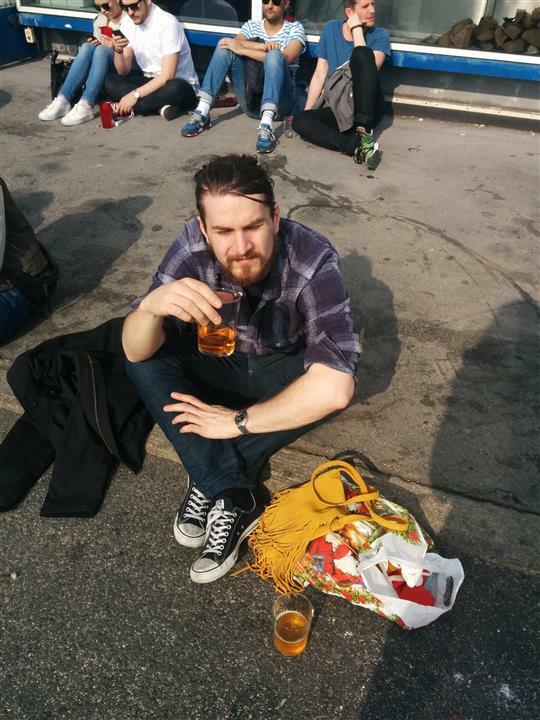 Danish alcohol laws are fortunately relatively permissive, so we found ourselves sitting on the pavement outside drinking our beers. Which where great by the way!. The place itself is also really cool, nothing like the “classy” “high-end” feel of the Mikkeller Bars. There was also an outdoors market going on in Kødbyen this Saturday, making the afternoon really pleasant. 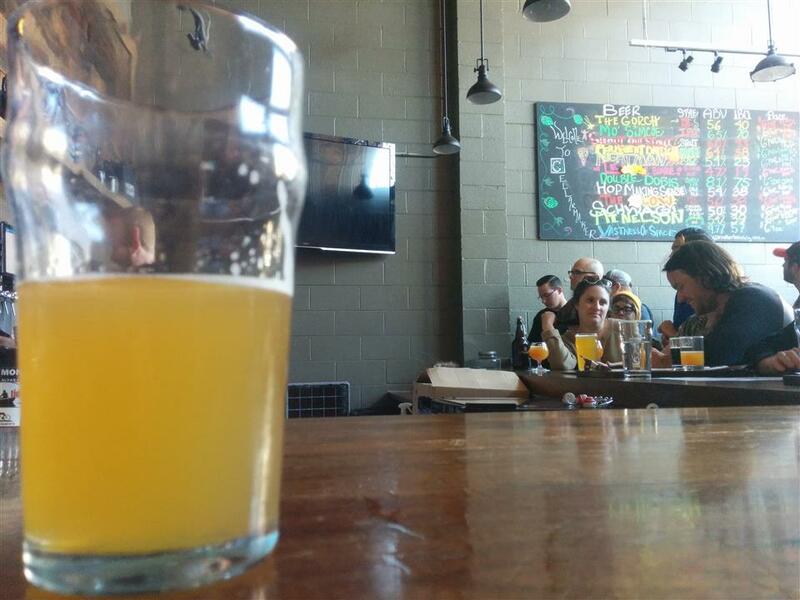 Great beers, good food and lots of people. We rounded off by a trip to Fermentoren, a couple of blocks away from Warpigs, before we hit our bikes, and went home for a bit of relaxation and then out for dinner, followed by a visit to Mikkeller and Friends, which was packed and not that great of an experience compared to the last time I visited. The day ended in our friends apartment, emptying his refrigerator of the beers I had bought at Kioskh earlier that day. This amount of beers meant that Sunday was a bit of a challenge, but I had agreed with Asger to meet him at Taphouse at four PM. A bit tired I still biked down there and after a couple of beers a guy said “I presume you are Atle?” This turned out to be Martin from Septima, and during the next ten minutes Asger and Gregers (also Septima) showed up. Taphouse is a great place, 60 taps going, but I’m “afraid” we spent our 3 hours there talking so much that I didn’t really put all that effort into actually tasting and analyzing the beers. A bit empty place on a Sunday, but we had great fun. Seems like we have a lot in common, and for me this set the standard for what I expected SF to be: meeting people that are deeply passionate about Geo, chatting with them on various topics and really having a great time. I had to leave after some hours, but as Septimas office was just a 5 minute walk from Taphouse, I was invited to take a look. 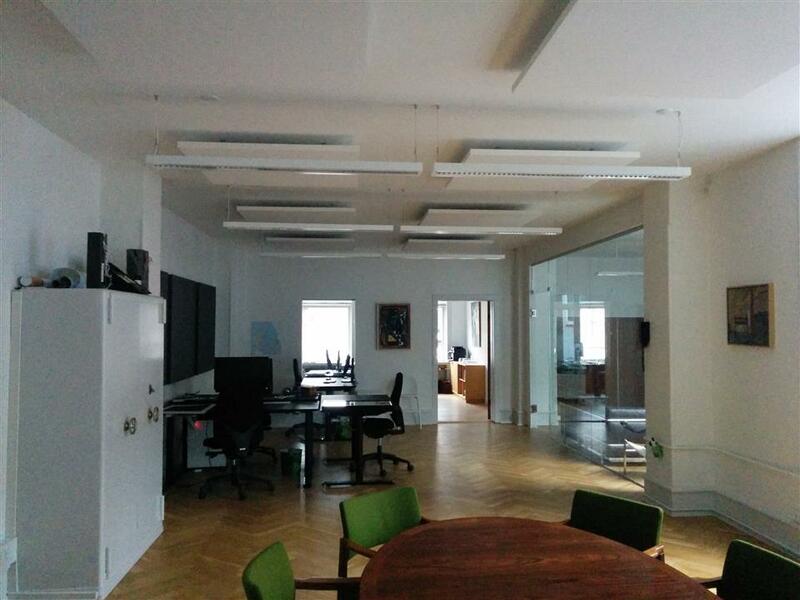 Really a cool office, in what used to be the offices of a record company. This pretty much completed the Copenhagen-part of my trip, lots of great beers, and good company. I really hope I’m able to visit Septima again, wether it’s on business or just a friendly chat. The next day I took the Metro to Kastrup, met my colleague Keino and got on the plane to SFO, 11 hours really let’s you focus on your book, and I’m really making progress on “Wheel of Time”. When we landed in SFO it was 15.00 local time, 24.00 Norwegian time, and with no sleep on the plane we where a bit tired. We managed to find a taxi to our “Loft” in South of Market (SoMa), rented through AirBnB. Great location, enough space, but we struggled a bit to get the WiFi working, gotta meet the basic needs of living. We found out quickly that the baseball season opened this day, and with the stadium being located 3 blocks away the streets where crowded. We found a place to grab some food and a couple of beers, but nothing much to write home about. On the way back we bought some beers, but after drinking one in the apartment, it was 20.00, and we where dead tired. The next day we had an appointment with Paul from Mapbox at 10.30, so we set out for a 30-ish minute walk to their office, stopping for breakfast at a really American diner, BLT and coffee started the day. 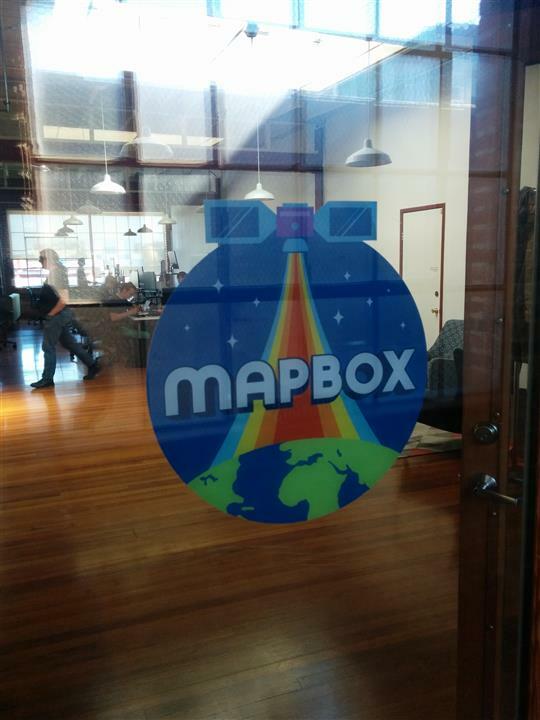 When we arrived at the Mapbox SF office, located in an old storage house, we where met by Paul and Matt, and after a quick introduction we got down to business; i.e. being given presentations on several aspects of the Mapbox technology stack by various key persons involved in making those. We had a chance to ask a lot of questions and really got a feel for what’s possible to do with their stack! After lunch, a great sandwich bought at a new mall in the Twitter HQ on Market street, we went back to their office, and blended in in their open-floor working area. Sitting in a sofa in SoMa, drinking a Lagunitas IPA while working on vector tiles I really felt at home. It was great having the Mapbox people available for questions, and their open-space office really did work much better than any such I’ve worked in in Norway. At around 19.00, Paul and Matt took us to the AT&T stadium for a baseball-match. We went there in “an Uber”, great taxi-service which I’ll get back to. Anyways, Paul and Matt tried their best to explain the rules of the game to us, bought us beers and really proper American fast food. 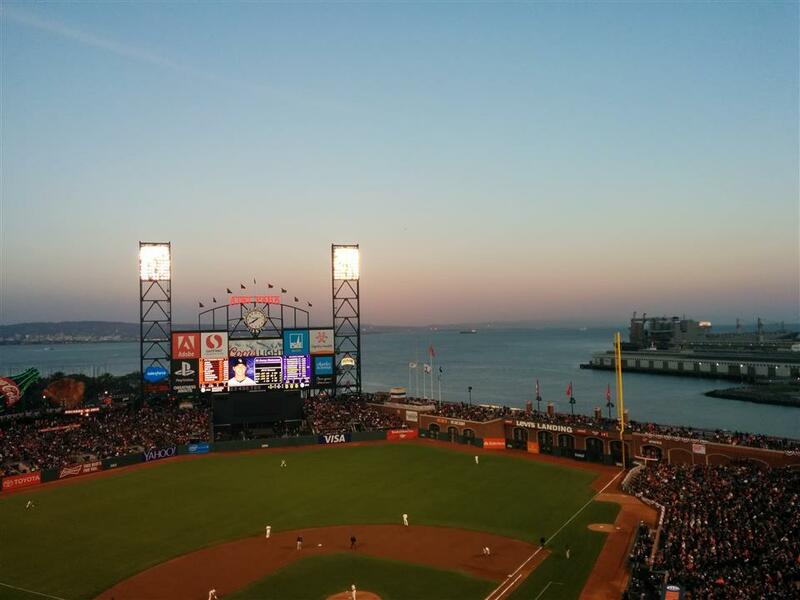 I’m not really that into sports, and baseball is complicated, but the stadium had a great view, and we spent 3-4 hours talking about this and that, much like the atmosphere I was hoping for when I was in Copenhagen with Septima! The game ended, SF Giants lost and Keino and I went for a couple of more beers at a nearby sports bar before heading home, still a bit jet lagged. The Wednesday was spent much in the same manner as the Tuesday, a session of presentations on various parts of the Mapbox stack before lunch (at a great Japanese place, they had lovely Ramen!) At lunch Mapbox CEO Eric Gundersen joined us, and while I guess we’ll cover the usage of Mapbox technology at Norkart in a blog post at our companys blog, what Mapbox is doing is really interesting and we are seeing some great opportunities here! Post-lunch was spent coding some more, we did a climb up to the roof of their office for a beer, and then presented what we had been working on. Great being able to show what we got up and running in relatively short time, and getting the proper channels for feedback and questions. These two days concluded the bulk of the geo-part of the trip, although we spent half the day on both Thursday and Friday in the “Loft”, coding and updating our colleagues back home. After the “show and tell” session at Mapbox Wednesday evening we headed over to Zeitgeist, a really cool place with an impressive tap list! Still, our clocks wasn’t all that aligned with SF time, and combined with lots of impressions and a number of beers we took a taxi home at a reasonable time. Thursday afternoon we decided to be a bit touristy, we walked up to Little Italy, an Anchor Steam, an ok pizza, then Lombard street up to Russian Hill. On our way back we stopped by Rogue Public House, another place I’ve visited before. Not the best beer place in town, but they do have a rather impressive beer lineup. On our way back we stopped by 21st Amendment brewery in SoMa, a new place for me. I really liked this place, great atmosphere and good beers. After concluding our work on Friday my colleague wanted to do some shopping, and so did I! 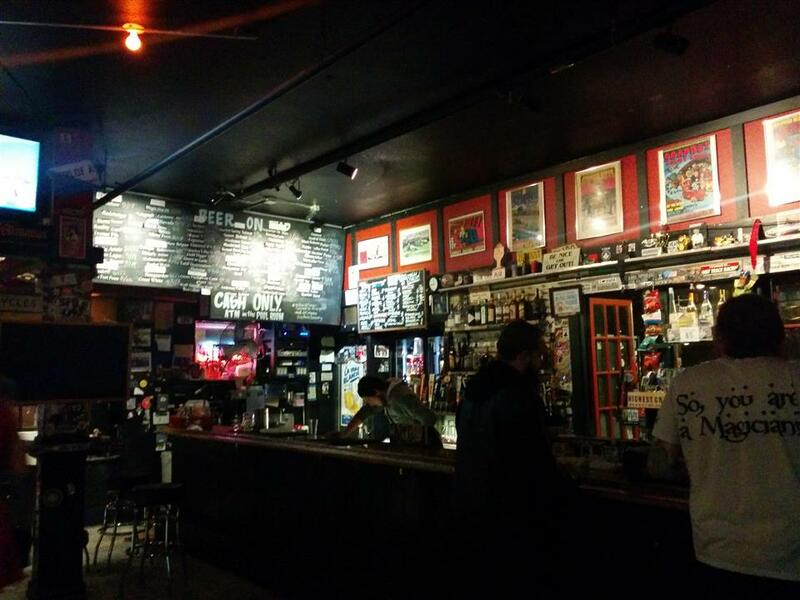 I went almost straight to City Beer Store, centrally located in SoMa. 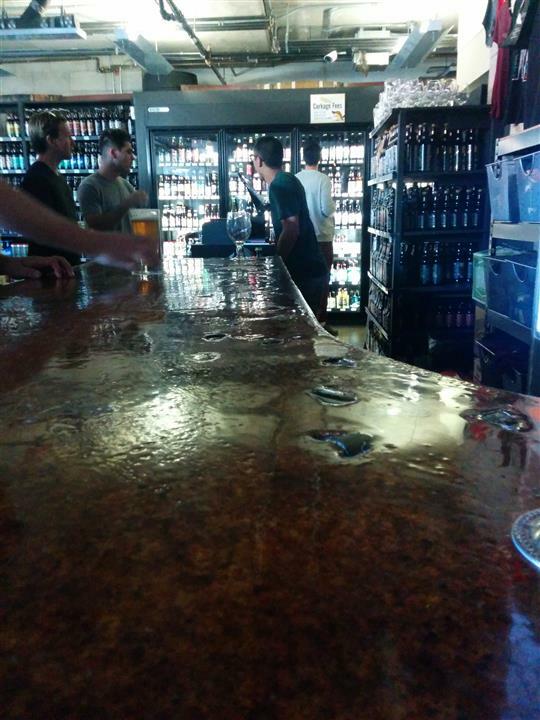 This is a bottle shop with an impressive range, as well as 10-ish taps. I had 3-4 beers here and bought enough bottles to fill my suitcase, and got a tip about Cellarmaker, a microbrewery just 3 blocks away. Small place, crowded, but I found a place at the bar and had a couple of beers. Impressive stuff! I realized I had to hook up with my colleague again, so i bought a 1 liter growler of one of their beers, which we shared in the “loft”. We had gotten some restaurant-recommendations from the Mapbox-guys, so we sett off to Lolinda (“If you guys are interested in some great Argentine food and a very cool interior design”). This was a bit far from us, so we decided to test Uber, the taxi app the half the city seemed to be using. Did it work? Absolutely! Within 2 minutes we where hooked up with a driver and on our way. Lolinda was what I guess you would expect, a crowded, noisy place, but great beers and coctails (finished the meal with a Manhattan, that was the only non-beer alcohol I drank throughout the trip I think!). My colleague had an early flight back home on Saturday, so we took an Uber back, and I went to Safeways and bought 4 beers, 1 bag of chips and and the latest issue of Cosmopolitan. Great combo? However, After a couple of beers I fell asleep as well. Saturday the 18th was my birthday, and I had to relocate to another hotel (Hotel Boheme) in Little Italy. To fight off the hangover I decided to walk, but the topography of SF means that there is no such thing as “Manhattan distance”, so I ended up walking up and down a lot, through crowded streets in Chinatown. An expirience, absolutely! When I finally got to the hotel I had one goal: find the really great sandwich shop I visited the last time I was in SF: Google knew that place: Freddie’s Sandwiches. 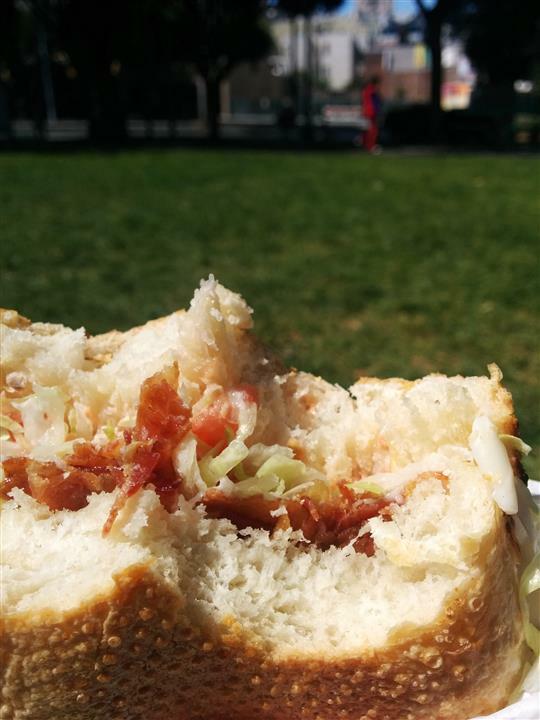 As they don’t have any tables, I had my BLT in Washington Square park, in lovely weather. 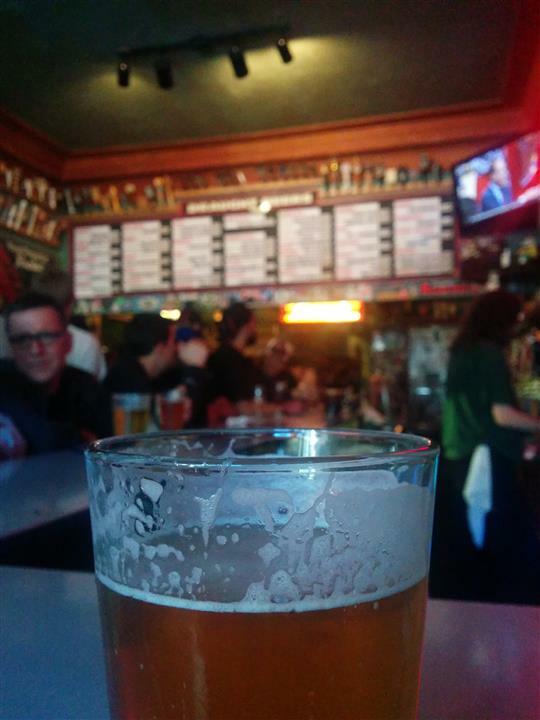 I’m guessing that all I really wanted was for the clock to turn “beer o clock”, and around 15.00 I got an Uber to Toronado, a really great bar in Lower Haight. Kinda loud, lots of hoppy beers (including “Pliny”). Beeing Saturday the place was crowded, but there are benefits to drinking alone: I managed to squeeze in at the bar, and after a couple of beers I even talked to people! I was recommended the burrito place and the sausage place next door, but couldn’t decide, so ended up with both. After two large meals and 5-6 beers I felt like I needed to do something else, so I decided to head back to the hotel (around 18.00). The trip back became a long one, as my co-passenger was really indecisive, but the driver was a nice guy. End of story: when I got back I felt like another beer! 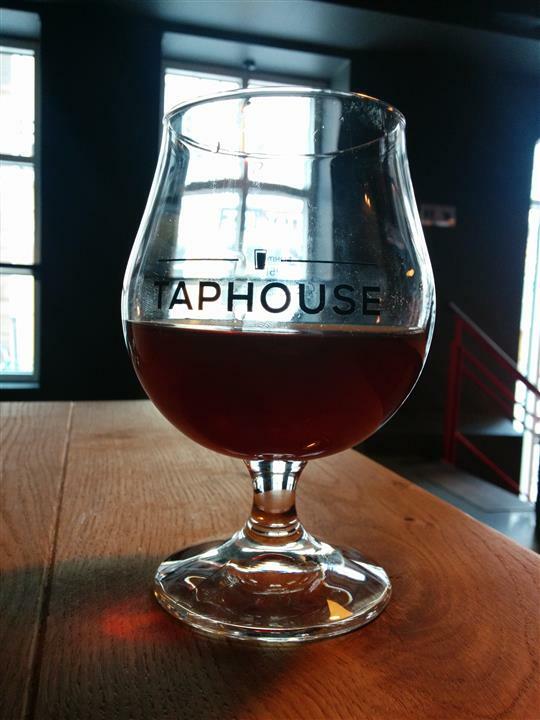 There was a place 4-5 blocks away that looked promising on ratebeer: La Trappe Cafe. Really the opposite of Toronado, a rather quiet place in a cellar, focusing on Belgian imports, but they had some american sours as well. I spent a good three hours here as well. Not the star beer place in the city, but worth a visit. Sunday I woke rather early and felt sorry for myself. Hungover, 31 years old and with a 10 hour flight 10 hours away. What to do? Google “best hamburger SF”, and go to Mo’s Grill. 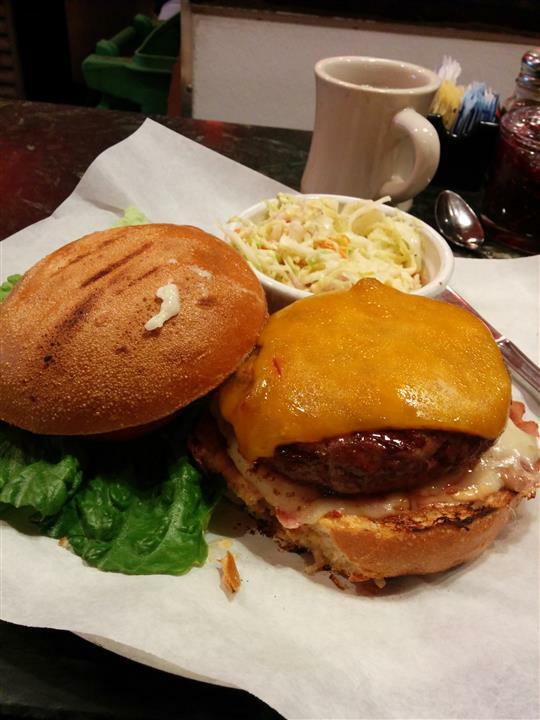 There was actually a line at 10.00, but after I while I realized that there was free seating at the bar, so i set down, got a coffe and ordered a “Burger with Sharp Cheddar Cheese, topped with Smoked Ham, melted Swiss Cheese, and Chipotle Mayonnaise” wow! afterwards I found a small cafe and sat utside for several hours reading, but then it got cold and I didn’t want more coffe, so I went back to Rogue and asked for a “sessionable beer”. What I ended up with: “brutal IPA” at 6% ABV(!). After the beer I walked arund some more, before the transport to the airport. That’s probably not that interesting, but I did get to try the “Mikkeller Sky High Wit” on the plane back! So, now I’m sitting at Kastrup, thinking that I’ll go easy on the beer drinking for some days Had a really good time, I’m super happy with having an employer that sends me to San Francisco to do stuff like this! This entry was posted in English, Geomatikk, Øl on 20. April 2015 by Atle. I dag åpnet Gulating i Trondheim, en spesialbutikk for øl (dvs under 4,7% øl) i Trondheim. Gulating skal inngå i den planlagte mathallen i Trondheim, men de er tidligere ute enn resten av mathallen. Butikken er en del av Gulating, en “kjede” med bryggeri og ølutsalg her i landet, jeg har enda ikke smakt noe øl fra dem, men fikk kjøpt med i dag. Mer kjent for den ølinteresserte Trondheimer er kanskje mannen som driver utsalget: Tommy Holen Helland, Ølportalen.no, årets ølhund, Bryggerifestivalen og ølsmakinger for å nevne noe. Med på laget har han fått med seg andre fjes ølinteresserte i regionen sannsynligvis drar kjensel på. Så, hvordan blir dette? Lokasjonen er perfekt, du kan si hva du vil om sentrumshandel og slikt, men for en person som meg som tar buss i en by der ALLE busser går innom sentrum og aldri korresponderer tror jeg jeg kommer til å bruke endel bussventetid på Gulating. I dag var det åpning klokka 14.00, og lokalet var stappfullt i en halvtimes tid. Thomas Sjue fra Austmann kom med noen bevingede ord, og han har helt rett i en ting: dette er ikke stedet du kjøper med deg en sixpack dårlig øl for å drikke deg full en fredagskveld, mer et sted hvor du finner noe spennende og nytt å smake på. Pr i dag har de 200+ sorter øl, et utvalg cider (som jeg ikke sjekka om var av engelsk, skikkelig type, eller av den søte, klissete, svenske sorten) samt noe alkoholfritt; men dette er et ølutsalg. Øl står i fokus. Butikken føles som i komme inn i en velassortert ølbutikk av det slaget jeg har opplevd i det mindre fanatiske utlandet, med hyller fulle av øl hele verden. Dog: at alt ølet holder maks 4,7% føles veldig rart. Jeg lurer på hvordan dette vil slå ut, jeg mistenker at det er endel norske “mikrobryggerier” som bevisst holder ølet sitt under denne grensen, i mange tilfeller med heller dårlig resultat. På den annen side; det kan være greit å holde seg til litt mer alkoholsvake øl også, så vi får se; dette er uansett ikke butikkens skyld. Utvalget er stort, men alt er stablet etter øltype, så man finner lett frem (og sikkert lettere når ikke butikken er full av folk på første dag). Mye av ølet er norsk, med fokus på trøndelag og mikrobryggerier, selv om også AASS og Hansa var representert (om nå Ringnes og Dahls var der er jeg faktisk ikke sikker på…). Det meste av ølet er ales i forskjellige varianter, selv om bryggerier som Balder brygg og Atna stiller med lagere. Noe “skvip” var det også å finne, men der var ikke veldig strategisk plassert, så det er langt fra ølhylla på Rema. Av trønderske bryggerier var de fleste jeg kjenner til representert: Austmann, To Tårn, Klostergården, Inderøya og Namdalsbryggeriet var alle i hyllene, de “store” er representert: Nøgne Ø, Kinn, Lervig, Ægit, Haandbryggeriet (med Soriaci Sess og Hoppy Saison bla.a) og 7 Fjell. Av andre norske bryggerier kan nevnes Ego, Nøisom, Fjellbryggeriet, Kofoedbryggeriet og Balder, samt Gulating sine egne øl som jo fikk god eksponering. Av utenlandske øl var det endel amerikanske session-øl, endel britisk, noe tsjekkiske pilsnere, samt et begrenset utvalg belgiere (etter hva jeg la merke til). Ølstilene er som forventet, en god del øl i skjæringspunktet pale ale, APA, (session) IPA, mye mørkere øl og endel lagere i diverse varianter. Få av flaskene står i kjøleskap, og jeg ville kanskje før sommeren satset på å få mer av det lyse ølet kaldt slik at man kan være litt spontan. Dette vil jo også være en fordel fremfor dagligvarebutikkene, som skjelden setter annet enn Dahlsbokser på kjøl. En annen ting som skiller Gulating fra f.eks Meny er kunnskapen hos de som jobber der. Med et lite lokale fokusert på en ting, og ansatte som er opptatte av øl vil man nok kunne få mye gode tips. Et problem er kanskje at de færreste av de ansatte har smakt på alt (å dømme etter utvalget i dag), men dette vil nok endre seg på sikt. Jeg fikk ikke akkuratt “testet” de ansatte på ølkunnskap i dag, men jeg kjenner såppass til dem at jeg har trua på at de klarer å komme med gode tips til både nybegynnere øg ølnerder. Kassa er en annen fordel: her blir ikke flasker slengt nedover et rullebånd, men behandlet stående og forsiktig slik at man slipper å la flaska hvile i lang tid for å unngå bunnfall. Alt i alt håper jeg virkelig at dette er et sted som har livets rett. Lokalet er enkelt, utvalget er stort og de ansatte er ålreite folk. Det store spøesmålet er om markedet er stort nok; men selv om jeg traff mange kjente fjes fra byens ølmiljø på åpningen i dag var det mer folk enn som så til stede, så det kan godt hende dette har livets rett. Selv la jeg igjen godt over 500 kroner i dag, og det blir nok ikke siste gang, selv om jeg i dag kanskje glemte at dette stedet er her i neste uke også. Jeg snakket litt med Jorg Solheim, som sammen med Monkey Brew-gjengen er i ferd med å starte bryggeripub på Bakklandet, og han hadde et håp om at Trondheim skulle bli Norges svar på Portland, Oregon. Vel, det er et stykke igjen dit, men det begynner absolutt å bli et respektabelt antall ølsteder og bryggerier i byen, så kanskje det ikke er en så dum tanke? Gulating passer godt inn i denne “visjonen”, og som Tommy sa: “det er vel her dere ølnerder kommer til å møtes fremover”; ja og nei. 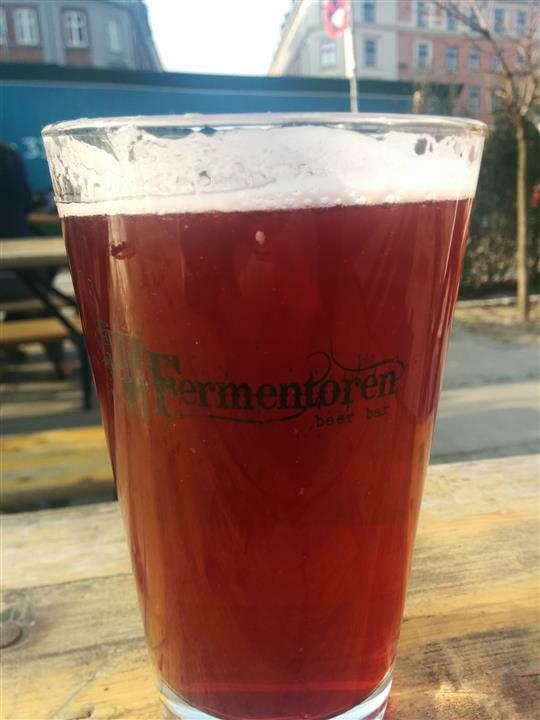 Desverre er det jo ikke tenkelig engang å gjøre som City Beer Store i San Fransisco eller Rosses i Torrades i Barcelona; ha en tappekran eller to og servere øl på stedet. Desverre.. This entry was posted in Øl on 12. February 2015 by Atle. I etterkant har jeg tenkt mer over det, og det er faktisk enda bedre. Så, for de som ikke bor i byen, eller ikke frekventerer “trønderske ølfanatikere”, eller bare vil ha en oversikt over hva som skjer på øl-fronten i Trondheim kommer en oversikt fra mitt ståsted. Det er sikkert også mer som skjer, så si gjerne fra. Ja, E.C. Dahls er på vei ut og vekk, men de siste åra har vi sett en del nye bryggerier i byen og omegn. Mest kjent er kanskje Austmann Bryggeri på Byneset (eller Høvringen for å være korrekt). Massevis av spennende (og noen kanskje ikke fullt så spennende øl), trivelige folk og “storleverandør” til polet, ikke værst på halvannet år. Northumberland har blitt et av favorittøelene mine, og det er faktisk et øl du får tak i på flere og flere steder i byen. En annen nykommer er norges eneste (?) “gravitasjonsbryggeri”, To Tårn. Disse holder til i sand- og vanntårnet til jernbaneverket på Marienborg, og selv om jeg synes endel av ølet deres lider under “butikkgrensa” klarer de å levere endel gode øl. Sist ut var Solbærporter. Distribusjon ganske lokalt, utsalg og “pubkvelder” i bryggeriet av og til, men ikke full-distribuert på samme måte som Austmann. Beveger vi oss utover bygrensene, men holder oss i Trøndelag har vi Klostergården bryggeri, som kanskje har gjort seg mest bemerket med sin tolkning av stjørdalsølet: Alstadberger, men de produserer også endel annet godt. Noe av ølet lider også under “butikkgrensa”, men andre er bare nydelige. Desverre er kun Alstadberger å finne på polet, så her er du avhengig av å være på rett sted til rett tid. Bortsett fra disse finnes det en hel rekke “mikrobryggerier” i Trøndelag. I tillegg er det ikke lange veien til Stjørdal og Oppdal, to av lommene hvor norsk tradisjonsbrygging fortsatt lever. Som om ikke dette er nok er hjemmebryggemiljøet i byen stort, det brygges øl på Moholt, det arrangeres hjemmebryggefestival, vinnerene av NM i hjemmebrygg 2013 var fra Trondheim, og tror du ikke hjemmebryggerene bak Polaris Porter også holder til i byen? Byen huser også Bakke Brygg, en levrandør av råvarer, utstyr og kunnskap for hjemmebrygging. Disse har allerede flyttet en gang for å dekke etterspørselen, så det er ikke tvil om at hjemmebryggemiljøet lever i beste velgående her! Trondheim Mikrobryggeri er kanskje i den siste tiden mest kjent for øltavla si, men har servert øl brygget på stedet i 1998, og var sånn sett veldig tidlig ute. Man kan mene mye om ølet de lager, de serverer kun eget øl og kvaliteten kan variere. Det skulle ta lang tid før Trondheim fikk flere bryggeripuber, men så kom det plutselig to på rappen. Daglighallen på Samfundet gjorde overgangen fra “fotballpub” til “kvalitetsølsted” en gang etter at jeg var ferdig med studiene, og det neste naturlige skrittet da var å brygge eget øl. Som sagt, så gjort, og nå serverer de både eget øl og andres, i trivelige omgivelser (gitt at det ikke er fotballkamp). Enkelte ølbloggere har sågar plassert Daglighallen på “topp 10″ av norske ølbarer. Det aller siste skuddet på stammen befinner seg i Fjordgdata, og Brygghus 9 spiller på ressursser fra flere steder. Eierene er de samme som driver Bakke Brygg, og de har også fått med seg bryggere derfra. For å bemanne baren har de fått med seg en flere burde kjenne igjen fra Den Gode Nabo, og for å tilby noe annet enn eget øl spiller de på varelageret til Beer Enthusiast. Brygghus 9 har en resturant i overetasjen, der de satser på skikkelig mat, samt en bar i kjelleren, med nevnte trivelige herremann. Strengt tatt er vel både Daglighallen og Brygghus 9 å regne som ølbarer like mye som bryggeripuber, men all den tid de faktisk har et bryggeri hanvner de i den kategorien. Det betur ikke at de ikke hører med på en allerede rikfoldig liste over gode ølpuber i byen. Den Gode Nabo kan jeg ikke finnes upartisk i min beskrivelse av, stamgjest på tiende året som jeg er. Dog, en artig brygge på Bakklandet, med lekter på Nidelva om sommeren, generelt flinke folk bak baren og et godt utvalg er dette et sikkerstikk. Kan til tider være mye studenter som bråker eller turister som skaper kø, men når øl-utvalget er godt er naboen et nydelig sted. Skulle du gå lei av naboen kan du labbe 100 meter borti gata og sette deg på Antikvariatet, men sørg for å kom deg innerst i bokbaren. Stedet har holdt på siden 2011, og har ikke verdens største utvalg, men det de har er som regel bra. 3-4 10 tappekraner og en 30-40 ca 70 øl på flaske. Flinke folk bak baren, men ofte mye kulturelle arrangementer, som noen ganger kan være en god ting, andre ganger ikke. Diskoteket er et artig paradoks i Trondheims øl-scene. Navnet hinter ikke akkurat til et fantastisk ølsted, men med 10 tappekraner, og byens beste surøl-kjeller kan navnet bedra. Dog, stedet heter ikke Diskoteket for ingenting, så etter 21-22 er det ikke stedet for å nyte ølet ditt i ro og mak. Dog, ta en tidlig tur innom, og du vil ikke bli skuffet. Sot er egentlig en hamburgersjappe på Solsiden (og den observante leser vil huske at det var der jeg satt da jeg fikk inspirasjonen til å skrive dette), men de har også et overraskende godt ølutvalg, og det er ikke noe i veien for å sette seg ned for en øl eller to. Fokus er på amerikansk øl, og de har endel godbiter andre steder i byen ikke har. Bari har også matservering, og mye fokus på vin, men sist jeg var der hadde de også et decent ølskap, så det kan absolutt være verdt å ta seg en tur hit. I tillegg har jeg hørt mye bra om steder som Bar Moskus, Ramp og Ila Braiinstasjon, uten at jeg har vært der selv. To Rom og Kjøkken er vel stjerneeksempelet her. En virkelig gourmetresturant (som jeg ikke ofte frekventerer), som på strak arm setter opp en ølmeny til maten din om du foretrekker det over vin. Utvalget er godt, men lite (etter hva jeg husker), men fokus er øl til mat. En annen resturant er Ågot på torget, en fiskeresturant med bånd til Austmann via styremeldemmer. På Ågot finner du skikkelig god sjømat, kombinert med et godt utvalg av lokalt og norsk kvalitetsøl. Vel verdt et besøk! Ølimportøren Beer Enthusiast har, etter at Austmann så dagens lys, etablert seg med en representant i Trondheim. Det betyr at steder som “BrukBlæst” (eller hva de nå heter) og andre, ganske standard utesteder, kan slumpe til å ha noen annet enn Brooklyn Lager å tilby den som har lyst på noe annet enn Dahls. Å ha en øldistributør i byen betyr også at det titt og ofte blir annonsert diverse øl-happenings, mer om det under. Trondheim fikk “halvspesialpol” på Valentinlyst på nyåret, noe som betyr at vi endelig har fått et sted å få tak i det litt særere ølet på polet uten å dra til Oslo eller Bergen. På tide! Jeg vet ikke helt hvordan det står til med “de facto” ølpolet i Trondheim på City Syd, men de var jo før kjent for fantastisk ølutvalg og service. Polet på Bankkvartalet er heller ikke å forakte. Skal du ha butikkstyrke-øl er det vel verdt å ta en tur ut til Lade og Meny-butikken der. Her tar de inn mye godt øl, inkludert lokalt øl fra To Tårn, Klostergården og Inderøya. Som sagt gir det å ha en øldistributør i byen muligheter for øl-happenings (eller snik-reklame), men det finnes en rekke andre arenaer også. En stabil traver er Det Gode Øls Klubb, som til stadighet arrangerer diverse øl-arrangementer, enten i lukkede settinger eller på en bar. På toppen av dette arrangerer en del av stedene egne øl-events, samt at både smakselv.no og Ølakademiet er i ferd med å etablere seg i byen etter hva jeg erfarer. Rosinen i pølsa er vel uansett Bryggerifestivalen i Trondheim. Denne er blitt arrangert to år på rad i forbindelse med Trøndersk Matfestival, og blir bare bedre og bedre. Her stiller det som kan krype og gå av trønderske ølentusiaster opp som frivillige, og når man klarer å samle en solid gjeng lokale og norske bryggerier midt på Trondheim Torg på sommeren er det til å bli glad av! Som om ikke det var nok arrangeres det som sagt et årlig hjemmebryggemesterskap i regi av Det Gode Øls Klubb, samt en juleøl-konkurranse på Tautra i sammarbeid med Klostergården. Så, som sagt er det mye å glede seg over som øl-interessert i Trondheim for tiden. Det artigste er dog at de forskjellige tilbudene er relativt ulike, de fleste barene har ikke identisk utvalg og det er generelt mye flinke folk bak gjæringskar, barer og disker rundt omkring i byen. På toppen av det hele er Trondheim såpass liten at man fort blir kjent med en rekke hyggelige folk via diverse arrangementer, så man klarer nesten aldri å stikke ut for en øl eller tre uten å møte på kjentfolk. Det er jo absolutt en hyggelig ting! This entry was posted in Virumvarum, Øl on 27. October 2014 by Atle. I anledning 30-årdagen min fikk jeg en fantastisk gave fra samboer og bror: 3 dager i Brussel for å drikke øl sammen med broderen! Vi er begge relativt ølopptatte, men ingen av oss er noen særlige eksperter på belgisk øl (sånn rent bortsett fra at vi begge er glade i surøl da). Vi hadde tre fine dager i Brussel fra 1. til 4. mai og nå har jeg endelig fått somla meg til å skrive en oppsummering. Jeg har eksperimentert litt med interaktive kart og litt sånnt, så dermed blir det ikke direkte en bloggpost, men en frittstående side. Les saken på http://code.atlefren.net/brussel/index.html. Kommentarer og sånn kan du legge igjen under her! Og: skulle du være interessert i hvordan kartløsningen er laget: se github. This entry was posted in Øl on 19. June 2014 by Atle. Vinmonopolet har et magasin de gir ut månedlig eller noe slikt, vinbladet. Som regel mye spennende lesning, men i mars-utgaven, klarer de (og det under headingen “fagprat”) å lire av seg en solid dose vås. Personlig synes jeg det er litt fint med alt det man ikke helt forstår. Alt det som ikke kan forklares med ord eller formler. I større eller mindre grad vil de fleste som lager vin støtte seg til noe mer enn vitenskap. Kall det gjerne overtro eller overbevisning. Eller erfaring. Denne gangen har fagavdelingen sett nærmere på fenomener og metoder som ikke nødvendigvis har naturvitenskapens velsignelse. Det vil ikke dermed si at det er fullstendig galskap av den grunn. Dette er erfaringsbasert kunnskap som begrunnes med gode resultater og nedarvet kunnskap. Ringer det noen bjeller? Her er vi godt over i tra-la-la-land allerede. “Mer enn vitenskap”? Hva mener de med det? “naturvitenskapens velsignelse”? Hæ? Det biodynamiske baserer seg på et holistisk verdenssyn der vinmarken dyrkes etter naturens rytmer, og solens, månens og planetenes faser blir tatt hensyn til. Jorden og plantene behandles med egne og naturlige preparater som skal gi sterke og harmoniske planter. I.dont.even. Holistisk? Naturens rytmer? Harmoniske planter?? Svaret biodynamikerne gir er tredelt. Først og fremst handler det om at de er mer fornøyde med vinene etter omlegging til biodynami. Dessuten melder de om at plantene blir sunnere og mer motstandsdyktige mot sopp og sykdommer. Til slutt er det et etisk valg som handler om respekt for naturen og omgivelsene våre. En ting er økologisk jordbruk. En annen ting er å støffe innvoller med preparater, grave de ned over vinteren og spre dem i homeopatiske doser ut over åkeren. Og dette skriver Vinmonopolet i sitt fagblad? Herre min hatt. Rudolf Steiner pekte på forbindelsen mellom de kosmiske kreftene og plantenes vekst. Ved å studere astrologiske kalendere og eksperimentere med å dyrke forskjellige grønnsaker, utviklet Maria Thun en av biodynamiens viktigste redskaper – Maria Thuns såkalender. Kalenderen bygger på at planetenes stilling påvirker hvordan de forskjellige vekstene på jorda vokser. Basert på hennes observasjoner delte hun månens bevegelse gjennom zodiacen, himmelens koordinatsystem, i fire: bladdag, rotdag, blomsterdag og fruktdag. Zodiacen? Jeg gir opp. Jeg hadde håpet av Vinmonopolet under headingen “fagprat” hadde klart noe mer enn å gulpe opp svada fra biodynamikerens lærebøker. Dette blir like tynt som Meinklang, det eneste (og siste) “biodynamiske” ølet jeg har smakt. Nå er det faktisk utrolig synd at Vinmonopolet er akkurat dette, et monopol, for jeg føler VELDIG på lysten til å boikotte folk som farer med denne typen fjas. Det finnes mye vi ikke forstår, men det betyr ikke at det har noe for seg å servere vrøvlet til Rudolf Steiner som fakta, for der er det på ingen måte. På slutten et stalltips: Hvis du synes de “biodynamiske prinsippene” høres like skrudde ut som jeg gjør anbefaler jeg deg å se etter “Debio“-merket Demeter-merket neste gang du er i butikken: Har et produkt et slikt merke lar du produktet ligge igjen, dette er nemlig en sertifisering på at maten er produsert med en solid dose svadatenking. This entry was posted in Mat og Drikke, Øl on 10. March 2014 by Atle.